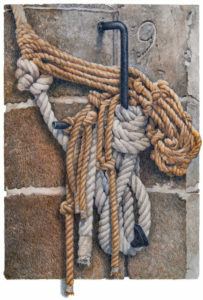 Join us to further your learning about the variety of uses and techniques of colored pencil drawing including different pencil strokes, blending, layering colors, burnishing, as well as other tools and materials. Use colored pencils to achieve realistic colors and textures to create drawings of man made or natural subjects, animals, plants, landscapes, shiny or rusty cars, or a glass vase of flowers. Returning students will continue learning and refining techniques, try new subjects and textures or surfaces. Come to work on a current project or start a new idea. Have fun! Basic experience required.